Us brits love to say sorry and in fact a survey once confirmed that we brits say sorry an average of eight times a day and some times upto 20 times. How's that for information. So here are 15 random things you can only find in british culture. Good morning. I've just finished serving a 12-hour Twitter suspension after a friend reported me for saying I don't like roast potatoes. 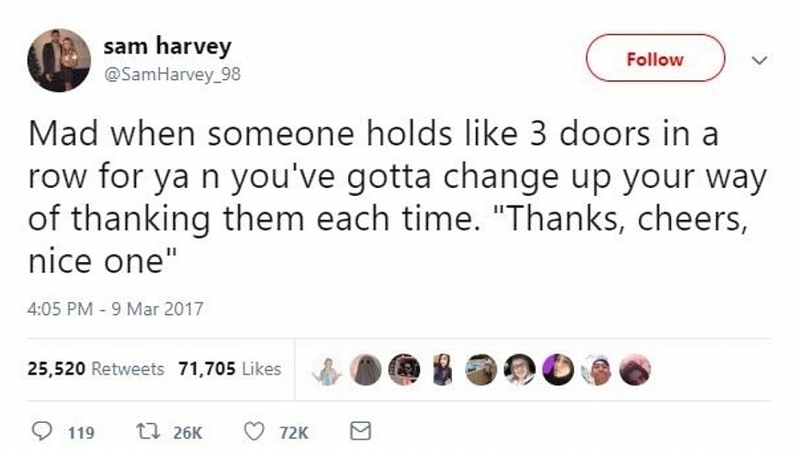 Mad when someone holds like 3 doors in a row for ya n you've gotta change up your way of thanking them each time. "Thanks, cheers, nice one"